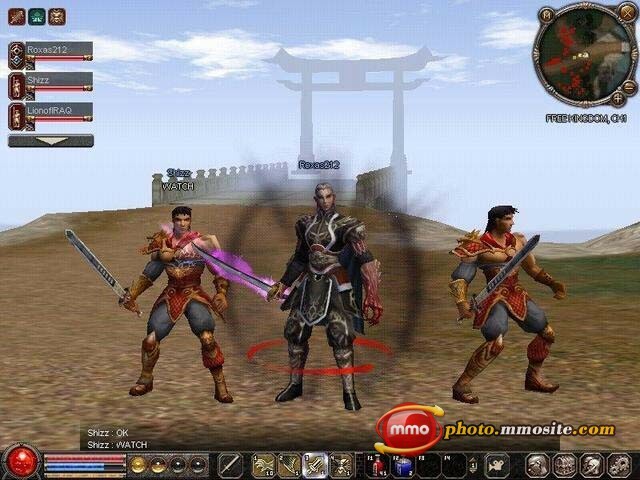 Metin2 is a massively multiplayer online role-playing game with a fantasy theme and an eastern-oriental flair and aesthetic. The game features a dynamic, action-oriented real-time battle system, in which players must use their skill and wits to conquer enemies. Metin2 also features two warring nations, PvP combat, and a king system which allows players to be elected King and leader of their nation. Metin2 is a massively multiplayer online role-playing game with a fantasy theme and an eastern-oriental flair and aesthetic. The game features a dynamic, action-oriented real-time battle system, in which players must use their skill and wits to conquer enemies. * A big continent on which many adventurers and brave warriors are waiting. * Three enemy emperors which you are able to join. * Fight for territory and honour, on foot or on horse! * Become lord of a castle and build up your own fortress with your own guild! * Learn a martial art and get many destructive special skills! Play online chess/checkers with others for free, tournaments included. onlineTV ist the easiest way to hear, see and record TV- and radiostreams. Mister-Gammon is the best online backgammon with latest backgammon news. Qweas is providing links to Metin2 3001 as a courtesy, and makes no representations regarding Metin2 or any other applications or any information related thereto. Any questions, complaints or claims regarding this application Metin2 3001 must be directed to the appropriate software vendor. You may click the publisher link of Metin2 on the top of this page to get more details about the vendor.